Hanging art work is easy for me. It just takes time. I am probably doing slowly. Somebody said, “You are meticulous.” I hope she meant in a good way. 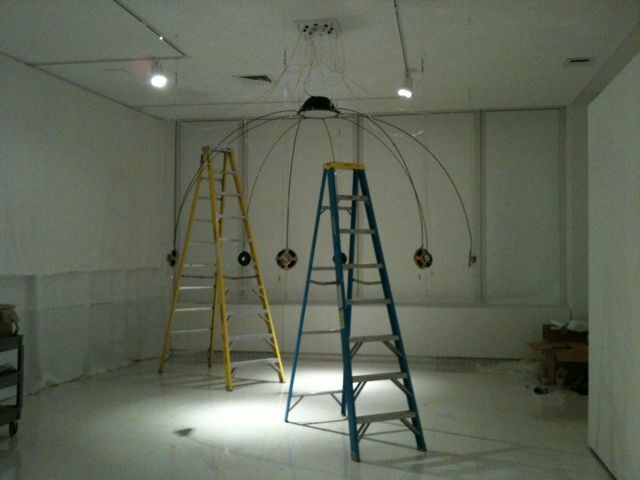 I hung eight bow-shaped round rods with 6″ mid-range speaker. The sound quality was not that great in the Second Street Gallery, so I need to change my circuit a little bit. Now I am thinking if I insert Art T8 noise canceler or one tiny capacitor between pos. and neg. on the speakers. The installing for decipher should be stopped today since my other projects for solo exhibition, Emotional Echo: Separation, must be installed until September 9th. I haven’t finished a project for window display in the ISE Cultural Foundation, yet, which I started in the Vermont Studio Center residency program in June. I have to wait the materials a few days more. The process for decipher will stay until September 10th, then I will start it again and finish it up by September 14th. You will see. 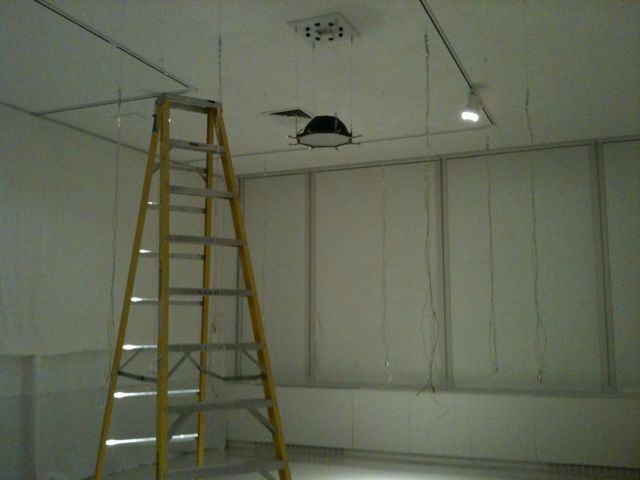 This entry was posted in exhibition, sound, tech and tagged art, decipher, exhibition, install, sound, tech. Bookmark the permalink.